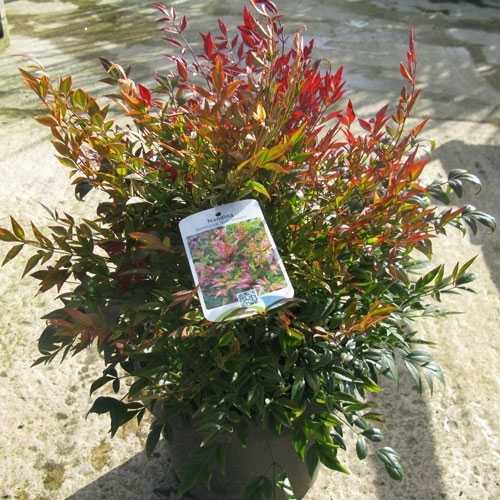 Nandina Domestica Gulf Stream is a lovely small, compact evergreen shrub. The plant has interest throughout the year, the foliage continuously changes colour through the seasons. The young growth is bronze with shades of orange and the older foliage ranges from green to gold to red in the Autumn. During the winter months following a warm summer this plant can benefit from bright orange fruits.